So, you have a wedding, engagement, birthday or party coming up in the coming months. You need to tell people, and to make sure that they save the date free in their diaries. You could send them an invite via snail mail, you could send them an e-invite. But there is a better way. 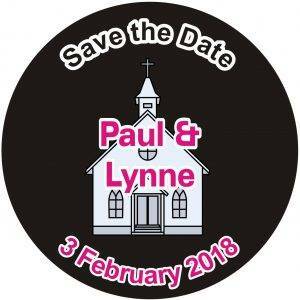 Every house has a fridge, so there is no better way to remind people of the date of your wedding than by sending them, or giving them a fridge magnet – or better still of popping the fridge magnet on the door of the frdge yourself. The fridge magnets are based on a 57mm badge, but with a magnet on the back instead of a safety pin. 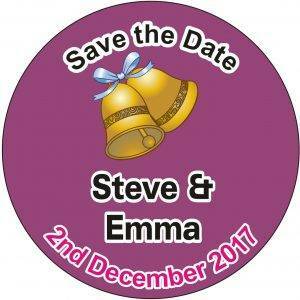 There are standard designs which we can adapt and develop to incorporate your theme and message. Just let us know the key details – names and dates and you will soon have your ‘keep the date frdge magnets’ to distribute to your friends.